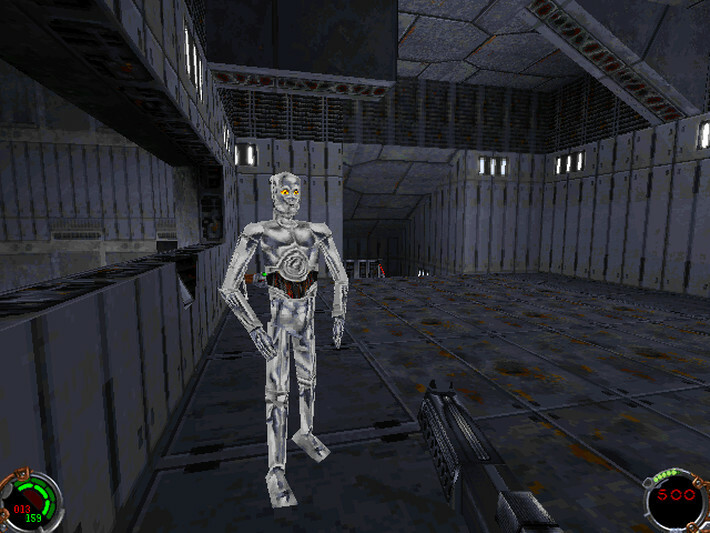 Original Release: 1997, Platform: PC, Developer/Publisher: LucasArts, Image Source: GOG, Thanks to GOG for providing our review copy. Back when I was a kid my Mom and Dad, every month or so, would pack us up in the car and drive to my grandmother's house in Hemmingford, Quebec. The visits were always pleasant (my Gran can bake one hell of an apple pie), but my favorite part was when she'd inevitably give me a five dollar bill and I'd get to walk up the street to a nearby convenience store to buy a comic book or a magazine. The only magazines I usually ignored were the PC gaming ones. While I had a PC before I was ten, it wasn't anywhere powerful enough to play the cutting edge games featured in these magazines. Reading about them, in turn, seemed like little more than a tease. Even so, there were a few times where my inquisitiveness would get the best of me and I'd buy one any ways. 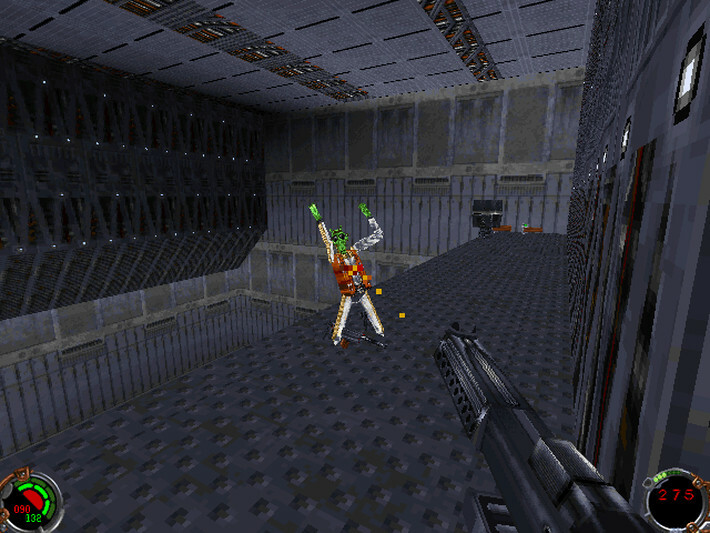 One such occasion came back in the mid-90s when I spotted a cover plastered with lightsabers. 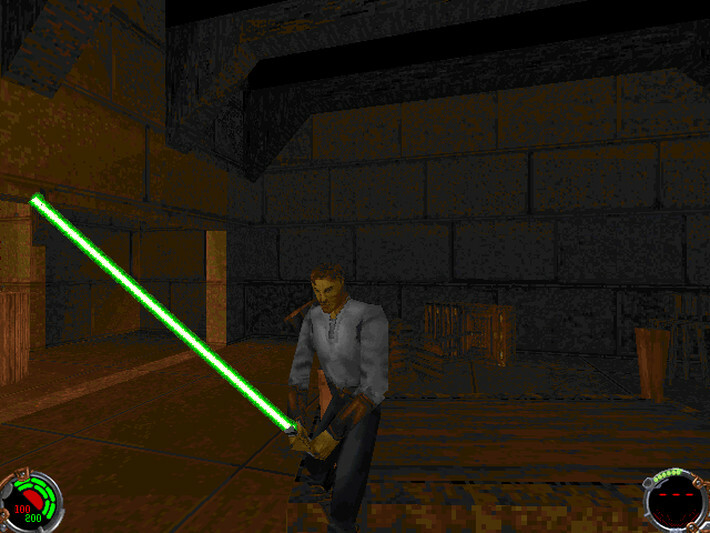 Already a bit of a Star Wars geek, I decided to indulge my curiosity and got my first glimpse of Jedi Knight: Dark Forces II. It looked awesome and I immediately found myself envious of all those PC gamers with rigs powerful enough to run games made after 1990. Five or six years later I found myself digging through the bargain bin of a big box retailer in Ontario. My Dad had bought a newer PC about six months before and I was searching for older games that its modest hardware specs could handle. 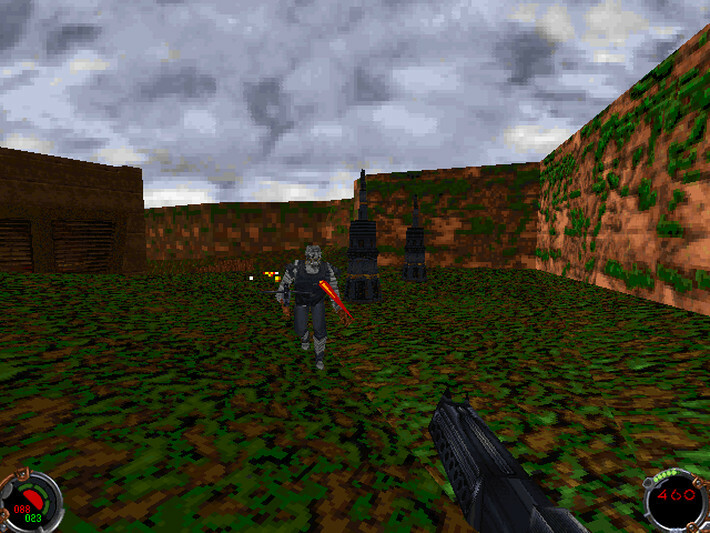 By chance I happened upon a copy of Dark Forces II, on sale for seven dollars. Remembering how cool it looked in that old magazine, I eagerly brought it home to see if it lived up to the hype of my memories. The answer, of course, was no. As has been the case with plenty of other games in my life, I found myself a bit let down by my expectations. It wasn't bad, by any means, but it also wasn't the end all be all my frequently over-enthusiastic psyche likes to imagine games to be. 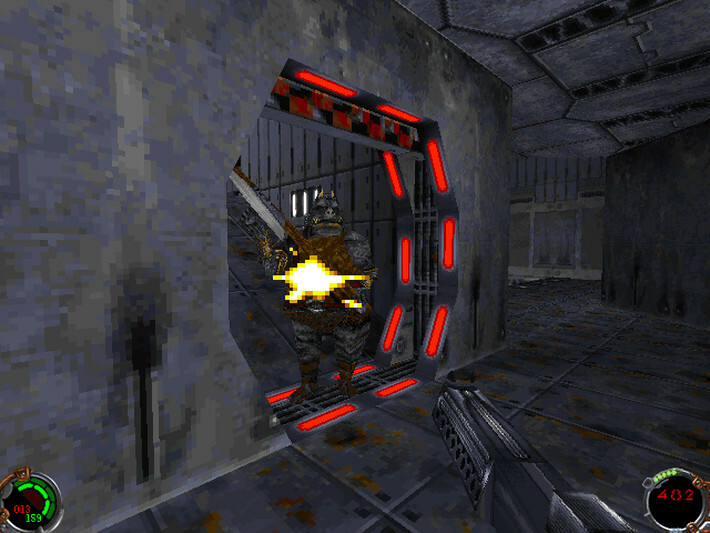 That being the case, when the news hit that GOG was adding Jedi Knight: Dark Forces II to its DRM-free catalog, I decided that it could be fun to revisit it and see if playing with more realistic expectations might result in my being more impressed. To an extent I was, though in places I hadn't been expecting. 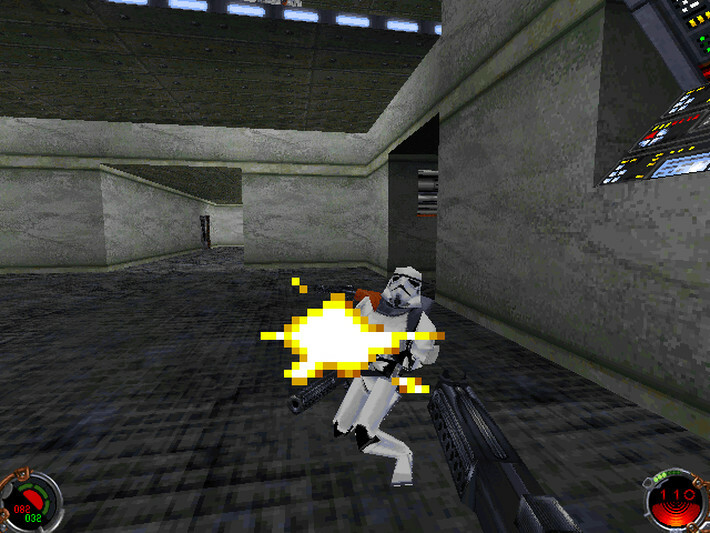 More specifically, Dark Force II just feels like a really genuine Star Wars product. The looks, the audio, the music; in many cases they've been pulled straight from the films. 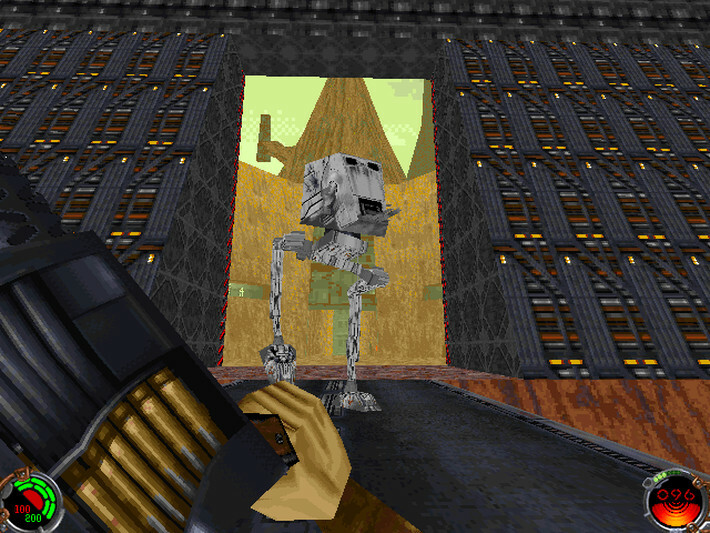 The whole thing, in turn, feels like an incredibly genuine offshoot of the original trilogy, more so even than other Star Wars games I actually like more. The game's use of John Williams actual score, for instance, just gives the game this aura of authenticity frequently missing from some of my other favorites like Rogue Squadron or Knights of the Old Republic which are often limited to someone imitating the original soundtrack. The story too, was really enjoyable for me. Following the rogue-ish Kyle Katarn, it centers on his quest to track down his father's killers. This, of course, spirals out into a quest to master the Force and stop a Sith plot to capture a mythical Jedi ruin filled and the power that resides within. An unlikely hero tapping into hidden strengths to defeat (or command) agents of the dark side? It's quintessential Star Wars. Granted, most of the plot plays out through B-movie quality live-action cutscenes (that ironically feature better performances than the prequels), but the narrative still works really well. Kyle Katarn is a likable protagonist, the villains never get too cartoonish and the overall story is engaging enough that you'll want to see how it ends.